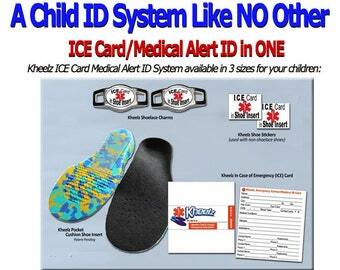 Answer: It's Simple, Carry a Kheelz Cell Phone ICE (In Case of Emergency Card & Medical Alert ID! 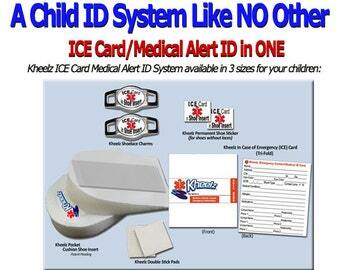 Kheelz Cell Phone ICE (In Case of Emergency) Card & Medical Alert ID provides you with a safe, secure, simple and very affordable way to carry an ICE (In Case of Emergency) Card and Medical Alert ID with you, wherever you go. 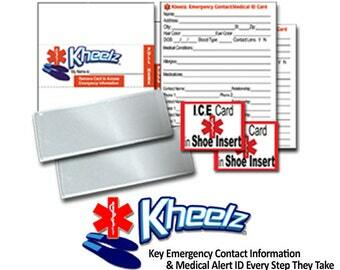 Let your Kheelz Cell Phone ICE (In Case of Emergency) Card speak for you when you can’t. 1) Fill out waterproof/tear proof Kheelz Cell Phone ICE (In Case of Emergency) Card with a ball point pen or fine point permanent marker-DO NOT USE PENCIL. 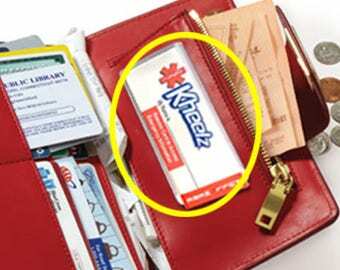 2) Tri-fold Kheelz Cell Phone ICE (In Case of Emergency) Card. 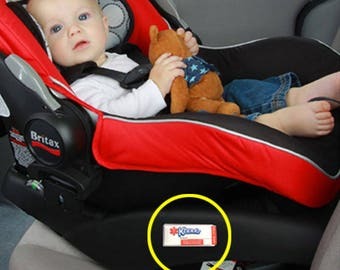 - Clearly Visible on cell phone or cell phone case. 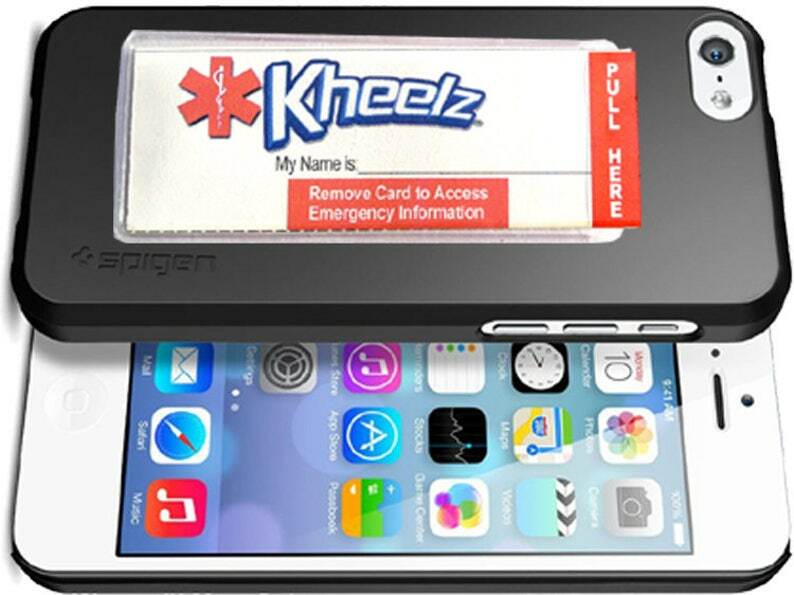 - Simple to use, easily access important medical information and emergency contacts by sliding Kheelz Cell Phone ICE Card from pocket area, open up tri-fold card and just read it. - Printed on special waterproof/tear proof paper. 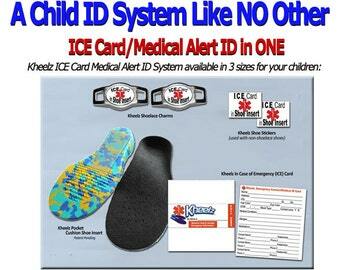 If cell phone is dropped in water, simply remove Kheelz Cell Phone ICE Card and dry off with paper towel. Remember, cell phones break when dropped or in automobile accidents,phone batteries die, just don't rely on phone ICE contacts to be your only form of protection. For less than a price of a fancy gourmet cup of coffee, you could protect yourself from a potential life threatening medical mistake! Thank you for viewing my Phone Accessory In Case of Emergency ID Card ICE Card Medical Sticker Custom Phone Case Emergency Stickers Safety Gift iPhone Stickers.